Colorado has more elk than any other state or Canadian province, but 80% of the statewide population are cows and calves. The limitation units were created to improve the bull to cow ratios and provide trophy hunters with access to more mature bulls. Five day guided hunts provided during all four RIFLE seasons, as well as ARCHERY AND MUZZLELOADER. We strive to offer the highest quality hunt possible by limiting the number of clients in camp and providing personal service. Share Your Tent with your Spouse, Relative, or Best Friend, not a total stranger. 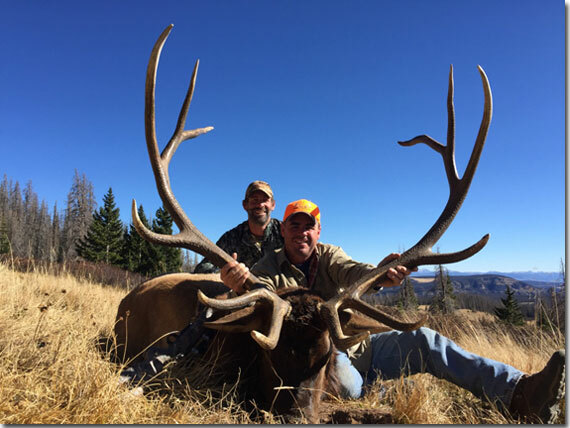 Ash's vast knowledge of the terrain coupled with over 25 years of personal hunting experience, gives him the expertise to provide his clients with an EXCEPTIONAL OPPORTUNITY FOR SUCCESS! 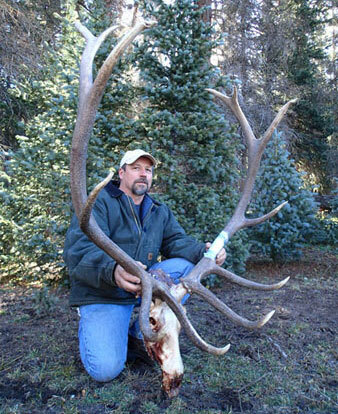 We do not require that you shoot the first legal bull you see...You can HOLD OUT for the POSSIBILITY of a larger bull. 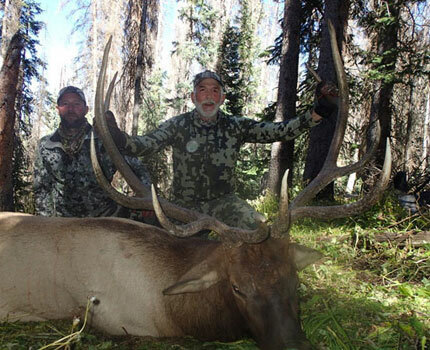 To date, all our clients have had the opportunity to shoot at a mature bull. 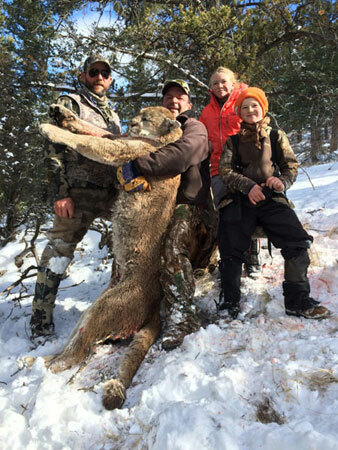 Rio Grande Outfitters overall success (kill) rate, including archery and muzzleloader hunters, is 80%! This compares with the total statewide average of 24%. Ash and his Guides have been serious bowhunters for years. We know what it takes to get bowhunters up close and personal for a good shot. We will not pressure you to shoot beyond your effective range. You, Chris, Jim & Jake gave me a OUTSTANDING ELK TRIP, ONE OF A LIFE TIME. This trip was total with horses, great food, camp set-up and being TREATED LIKE A KING. The first day was tough but, as you told me it would get better and it did. You showed me by going HIGH it would get us in BIG ELK and that it did. All I can say in closing is THANKS for the most COMPLETE ADVENTURE I COULD EVER HOPE FOR. You'll enjoy a 3 1/2 hour horseback ride through beautiful alpine meadows and spruce benches near timberline on the way to our high altitude hunting camps, at approximately 11,000 feet. We also have a low camp for our late season hunts. Camp at Rio Grande Outfitting are extremely comfortable, with wall tents, wood burning stoves, cots, and hearty, home-cooked meals! 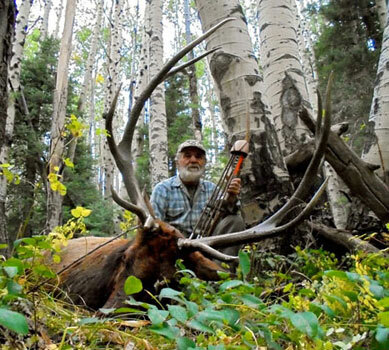 Our pricing is very competitive for both our elk and deer hunts. Five day guided hunts are provided during all four RIFLE seasons, as well as ARCHERY AND MUZZLELOADER seasons. We offer 1x1 and 2x1 guided hunts and specialize in taking only very small groups. 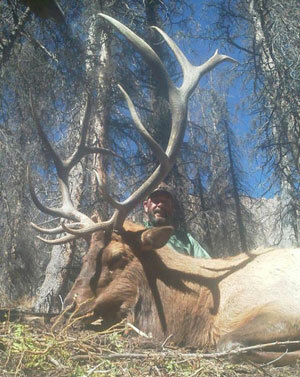 This provides a more personalized and successful high country hunting adventure for our clients. We provide camps for 2 or 4 hunters for a cost of $5500 per hunter 2x1 and $6500 per hunter 1x1. An equal opportunity service provider operating under special use permit in the Rio Grande National Forest. note: all fields are required to send form.